There are many serious medical conditions that can affect people throughout their lives. At some point, one in three people will develop cancer. Others will almost certainly suffer with a heart condition. However, strokes are also prevalent, and most people have little understanding of what they are. Considering that, you’ll find some great information on this page that could help to increase your knowledge. Also, you might like to take a look at the infographic to find out more. There are two different types of stroke that can affect humans. The first is ischaemic, and the second is heamorrhagic. Ischaemic strokes happen when there is a blockage in blood vessels, and heamorrhagic strokes happen when blood vessels are damaged and start to leak. During a stroke, your body will automatically widen all blood vessels in an attempt to save your life. However, that doesn’t always work, and some people die when the condition manifests. That is why an ambulance should be called immediately. 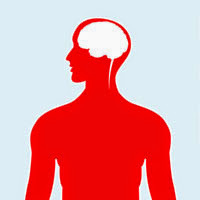 Stroke is the most-common trigger for the onset of physical disabilities brought about by a failing nervous system. You need to educate yourself on how to spot the signs of stroke to ensure you act fast. You can now take a few minutes you read through all the points made on the infographic. Doing so should help to increase your knowledge and limit the chances of you making the wrong moves when someone close to you suffers from a stroke. If you want to know more, you can book an appointment to see your family doctor.